Dan Gilbert and Mayor Mike Duggan are not the only men making an impact on Detroit’s resurgence. In a city that is just over 80 percent black, there is an abundance of black men doing their part to restore the city’s glory. The Michigan Chronicle’s 40 Under 40 class of 2018 highlights 19 of those Detroiters, which includes a state senator, entrepreneurs, a judge, educational leaders, and more. Detroit Loyola principal and 40 Under 40 honoree Wyatt Jones. Detroit’s revitalization has been focused on the return and creation of new businesses in the city, specifically those owned and operated by minorities. Jabs Gym is one of those businesses, with its new location opening in the historic Eastern Market November of 2015. Willie Fortune and Armond Rashad are co-owners of that location and 40 Under 40 recipients. Getting in-shape has seen a resurgence as well in Detroit and Jabs has become the hot spot gym in the city because of its unique offerings. Jabs Gym-Eastern Market co-owner and 40 Under 40 recipient Armond Rashad. Education in Detroit, or lack thereof, has also been a huge topic of discussion when it comes to Detroit’s resurgence. You cannot have a thriving city if you do not have a thriving educational system. 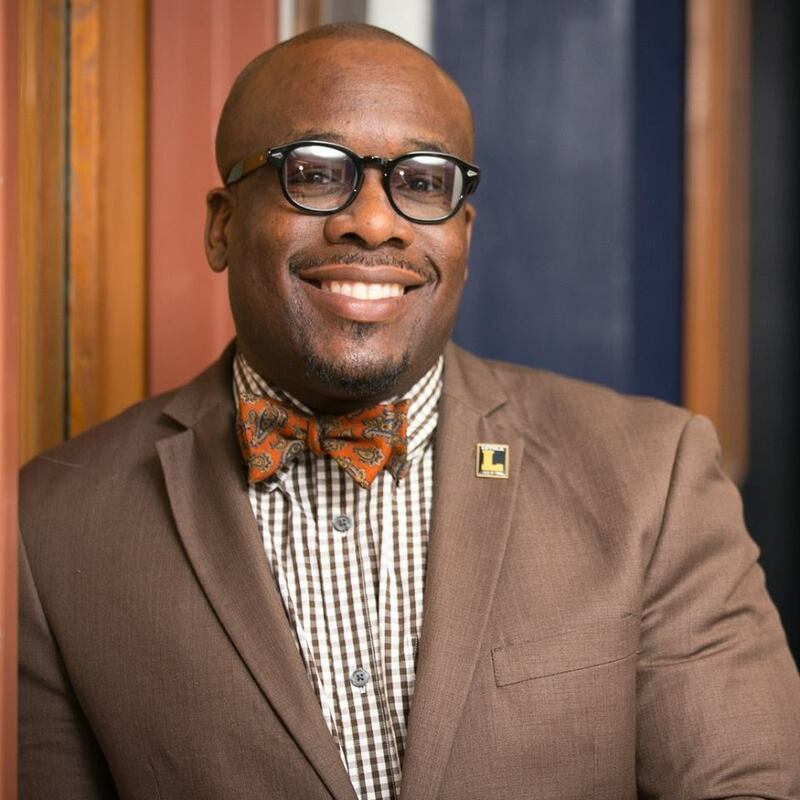 Jahquan Hawkins is the Dean of Students Services at Oakland Community College, where he oversees student frontline services. He is a 1996 graduate of Detroit King and a proud product of Detroit Public Schools. He knows first-hand what is going on in the educational community in the city and sees himself as ambassador, providing educational opportunities and awareness to students from Detroit, through OCC. Oakland Community College Dean of Student Services and 40 Under 40 honoree Jaquan Hawkins. The black man has always played a vital role in Detroit’s development, politics, educational system, business, and government. And not just the Coleman A. Youngs, Damon Keiths, and Rainy Hamiltons of the city. It is also the leaders we do not hear about in the mainstream, which is the purpose of the 40 Under 40, to celebrate local black individuals who inspire others through visions and leadership, exceptional achievements, and participation in the community.